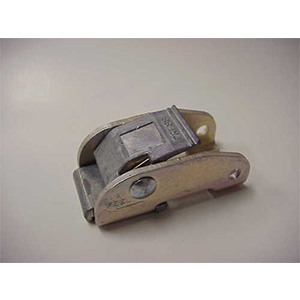 Cam Buckle, for use with 1" webbing. 2,500 lbs break strength rating. To use your own Freight Account, enter coupon code customeraccount on checkout. Please include FedEx or UPS account number in customer notes on checkout. 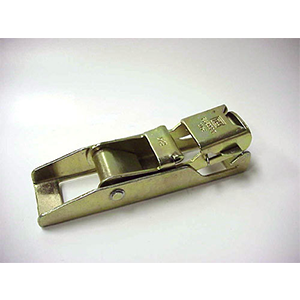 Ratchet buckle for 1 3/4" or 2" webbing, 10,000 lbs break strength rating. To use your own Freight Account, enter coupon code customeraccount on checkout. Please include FedEx or UPS account number in customer notes on checkout. 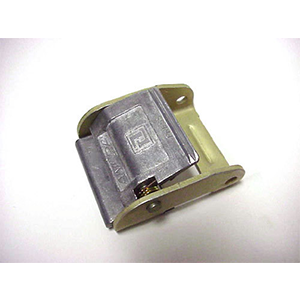 Ratchet buckle for 1 " webbing, 3,300 lbs break strength rating. To use your own Freight Account, enter coupon code customeraccount on checkout. Please include FedEx or UPS account number in customer notes on checkout. 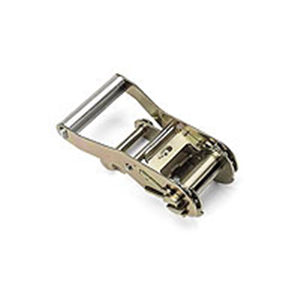 Ratchet Buckle for 3" webbing. Long-Handle assmebly. 22,000 lbs break strength rating. To use your own Freight Account, enter coupon code customeraccount on checkout. Please include FedEx or UPS account number in customer notes on checkout. 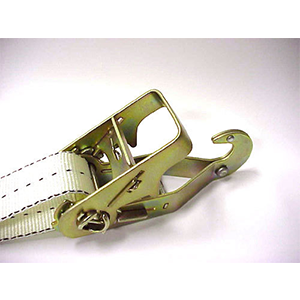 Over-Center Buckle assembly for use with 1" webbing. To use your own Freight Account, enter coupon code customeraccount on checkout. Please include FedEx or UPS account number in customer notes on checkout. 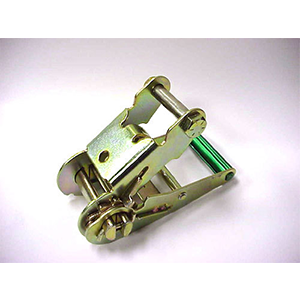 Over-Center Buckle assembly without hook, for use with 1 3/4" webbing. To use your own Freight Account, enter coupon code customeraccount on checkout. Please include FedEx or UPS account number in customer notes on checkout. 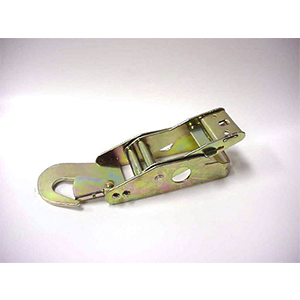 Over-Center Buckle assembly with hook, for use with 1 3/4" webbing. To use your own Freight Account, enter coupon code customeraccount on checkout. Please include FedEx or UPS account number in customer notes on checkout. 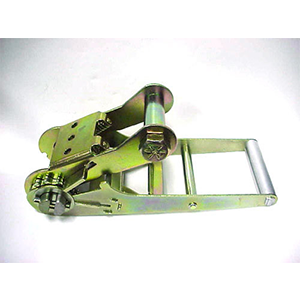 Ratchet Adjuster for use with 1 3/4" and 2" webbing. 11,000 lbs break strength rating. To use your own Freight Account, enter coupon code customeraccount on checkout. Please include FedEx or UPS account number in customer notes on checkout. 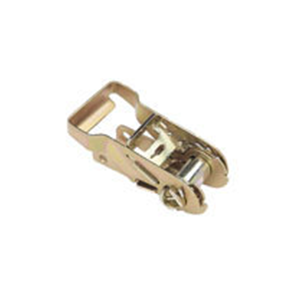 Cam Buckle, for use with 1" webbing. 1,500 lbs break strength rating. To use your own Freight Account, enter coupon code customeraccount on checkout. Please include FedEx or UPS account number in customer notes on checkout. 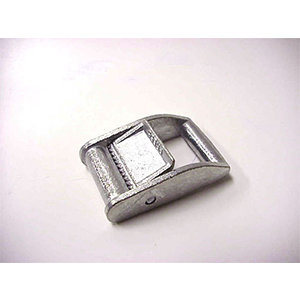 Ratchet buckle for use with 1 3/4" and 2" webbing. CGU-1/B Style Assembly. To use your own Freight Account, enter coupon code customeraccount on checkout. Please include FedEx or UPS account number in customer notes on checkout. 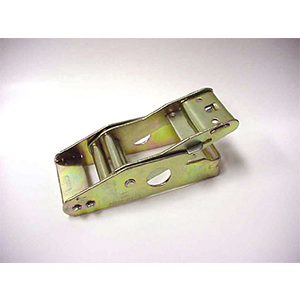 Cam Buckle, for use with 1" webbing. 500 lbs break strength rating. To use your own Freight Account, enter coupon code customeraccount on checkout. Please include FedEx or UPS account number in customer notes on checkout. 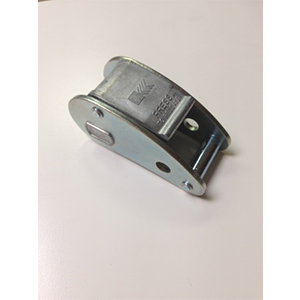 Cam Buckle, for use with 1 3/4" or 2" webbing. 2,500 lbs break strength rating. To use your own Freight Account, enter coupon code customeraccount on checkout. Please include FedEx or UPS account number in customer notes on checkout. 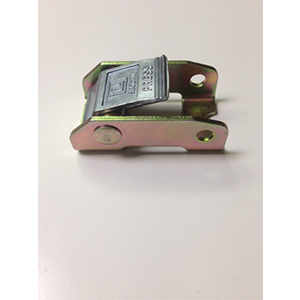 Cam Buckle, for use with 1" webbing. 1,800 lbs break strength rating. To use your own Freight Account, enter coupon code customeraccount on checkout. Please include FedEx or UPS account number in customer notes on checkout. 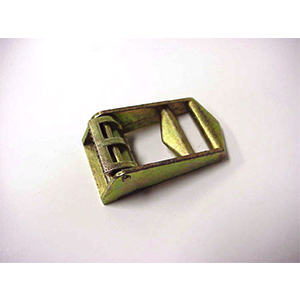 Cam Buckle, for use with 1" webbing. 500 lbs break strength rating. Friction action which is not spring loaded. Meets NAS1382-7. To use your own Freight Account, enter coupon code customeraccount on checkout. Please include FedEx or UPS account number in customer notes on checkout.